A Ported Stock GT-R Intake Manifold is the best way to keep your engine bay looking stock, while increasing airflow to the cylinder head. 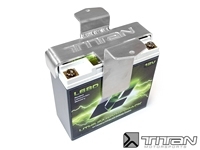 Titan Motorsports Small Battery Kit for the R35 GT-R.
TurboSmart Blow Off Valve (BOV) Kit. Regardless of what type of performance modifications you have, hard driving or warm climates can cause your GTR to run hot. Prevent limp mode conditions and eliminate the possibility of catastrophic engine or transmission failure with an Alpha Cooling Kit. SPAL 13" 1710 CFM Fan. Avaialble in both a pusher or puller style. Big End Straight Fitting. AMS designed the Alpha Performance R35 GT-R Race X FMIC upgrade to be the best performance 1,200+WHP Front Mount Intercooler on the market! This is the same FMIC that we use on our 7 second record holding shop R35 GT-R. If your GTR produces in excess of 900 horsepower or if you drive in a hot weather climate, the Alpha GTR Race Intercooler is your best option for producing power safely and efficiently. This direct bolt-on intercooler for your 2009+ GTR has over 75% more internal flow area than its stock counterpart, works with stock piping, and does not require any cutting or trimming! This is the larger 4.5" Thick Version of the CBRD V2 100% bolt in intercoolers - Offering slightly more Charge Cooling and Mass. This intercooler from ETS is a large, vertical flow kit for the GT-R. This allows for the exact same amount of surface area on both banks! It is monstrous compared to the stock unit! The Extreme Turbo Systems GT-R intercooler is a direct bolt on upgrade for your GT-R. This intercooler features 36 charge rows.. That's 72 heat transfer plates! 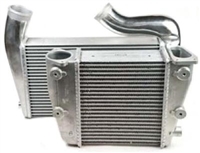 This intercooler from ETS is the largest intercooler on the market for the R35 GT-R. The tall vertical flow allows for the exact same amount of surface area on both banks. 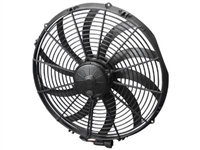 Features two lightweight, large capacity cores and a carbon fiber air duct that greatly improves cooling efficiency. BP Ported 2012+ Turbo Inlets for your GTR. Upgrade for all year GTR's! The Alpha Performance R35 GT-R Carbon Fiber Intake Manifold has been painstakingly designed by AMS to be the most efficient and power producing GT-R intake manifold on the market. The Boost Logic VR38DETT Intake Manifold has been engineered to be the pinnacle of performance among its competitors. An increase in torque to broaden the power-band while achieving a phenomenal horsepower gain under boost sets the Boost Logic Manifold apart from the competition. The GReddy RX Intake Manifold, engineered to equalize flow and improve efficiency, features a precision cast-Aluminum surge tank designed for maximum performance! Agency Power Short Ram Intake System Nissan Skyline R35 GTR 2009-2016. The Alpha R35 GT-R Carbon Fiber Cold Air Intake was designed to draw a higher volume of cool air into the stock turbochargers while improving the metering capability of the factory Mass Airflow (MAF) sensors. 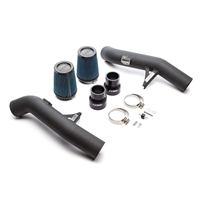 By changing to a blow-through style MAF, the Alpha Performance Intake (Induction) Kit for your R35 GTR, eliminates the problems associated with running big power on a factory pull-through system. This kit is proven to well over 1800HP. The Boost Logic 3″ Intake Kit for the R35 GT-R allows your engine to breath the coldest air possible. 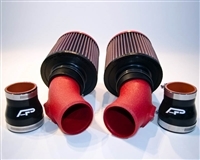 Every intake is precision engineered in the USA to have the smoothest and straightest airflow possible. CBRD's Speed Density Intakes for the R35 GT-R. Constructed of 2.75-inch diameter aluminum tubing with K&N cone filter elements and 3-ply silicone couplers, the SF Intake System is easy to install. Constructed of 3-inch diameter aluminum tubing with K&N cone filter elements and 3-ply silicone couplers, the SF Intake System is easy to install. Opens the door to larger power gains with tuning. Desgined and tested with performance in mind, ETS' Twin Turbo Intake Kit for your 2009+ R35-GTR, is proven to well over 1200HP.